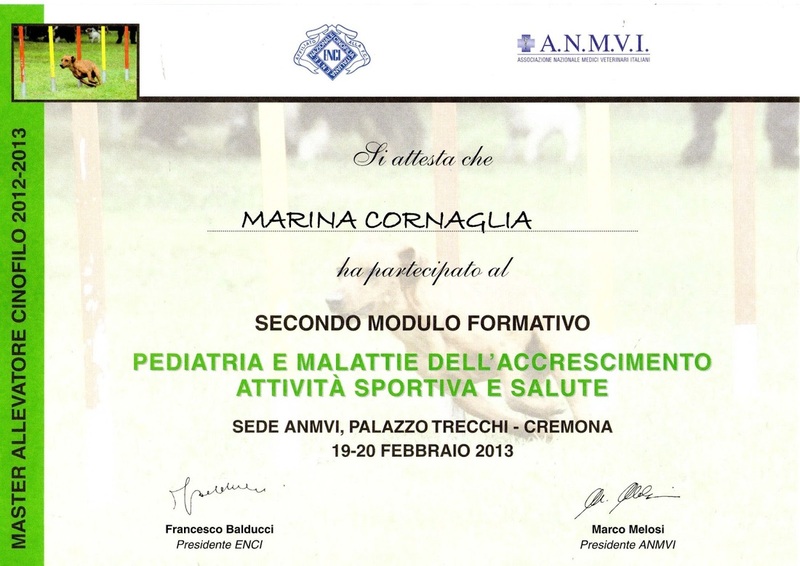 I am Marina Cornaglia, born November 28th 1991 in Milan, where I lived and studied untill September 2006, when I moved with my family to Trieste. Since I was five I attended English Schools, so I speak this language very well. I also speak French, Spanish, and a bit of German. I have a great passion for animals, that I cultivate from a long time. It started with the typical "first red fish" and arrived at excellent show and breeding quality dogs. Along the way I also owned hamsters, prairie dogs, aquariums, gliding possums, african hedgehogs, bunnies, chinchillas, ferrets and parrots such as the Africa Grey Parrot and the blue-and-yellow Macaw. Of all these, the one that won me over was the Borzoi, or Russian Sighthound. An exemplary life companion, sweet, funny and affectionate. Love for Borzoi will accompany me for the rest of my life. Finally, in 2007 Bagrijana, our first Borzoi arrives. We started her show career in region attending various local dog shows. Then we attended her first international dog show where she immediately gained excellent results (CACIB Vrtojba - SLO: v.p.1, Best Puppy, Puppy BOB and ResPuppy BIS). Henceforth I keep cultivating my love for dog shows, which I attend to with enthusiasm and I exeperience it with my dogs in a pleasant and enjoyable way, having fun together. 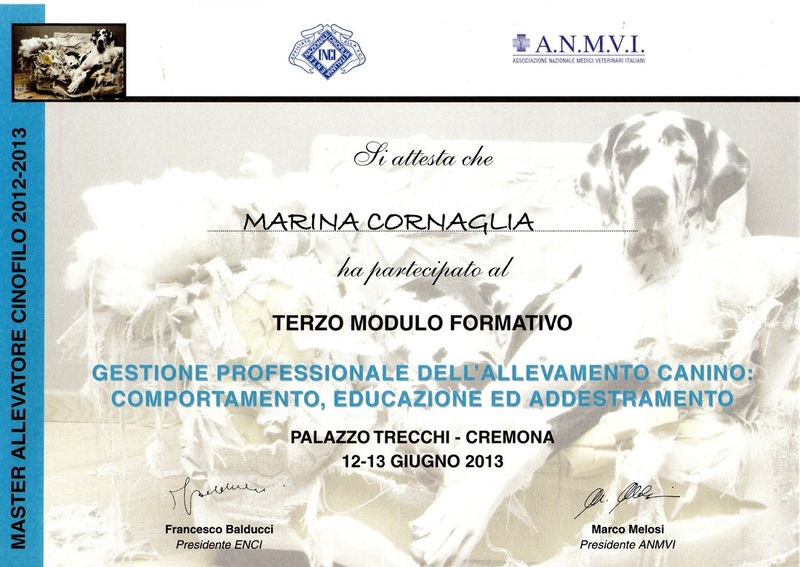 I am currently studying Animal Health and Breeding at Udine University, though my interest in these subjects has brought me to take part in various seminars organized by our Kennel Club. 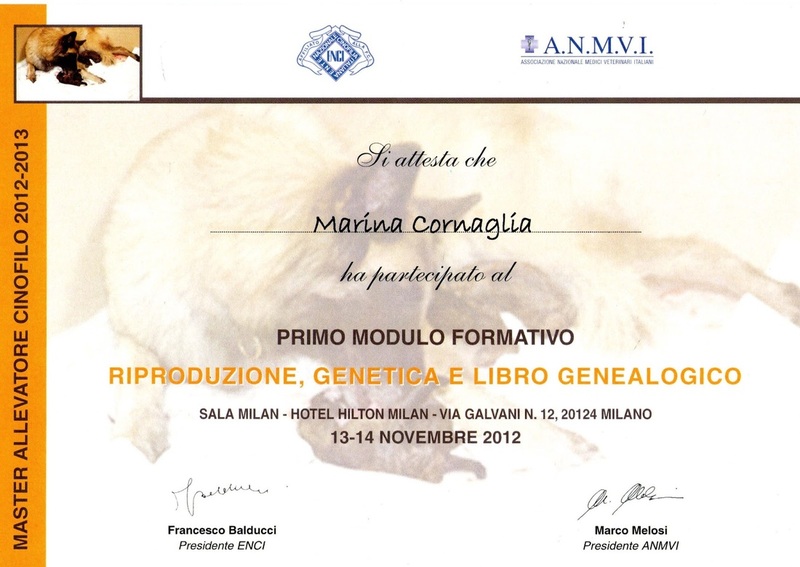 I was one of the first to attend the Breeder's Master Course supported by ENCI (Italian Kennel Club) and ANMVI (Italian Veterinary Association). ​My working career as a handler in the show rings starts in 2008, showing the Borzois of Ca' Frosco Kennel. I am then their exclusive handler for two years, also looking after some of their litters and their adult dogs at the kennel. I am currently self employed, showing and handling different breeds at dog shows, though mostly Borzois. To know more, please visit my "Handling" page.